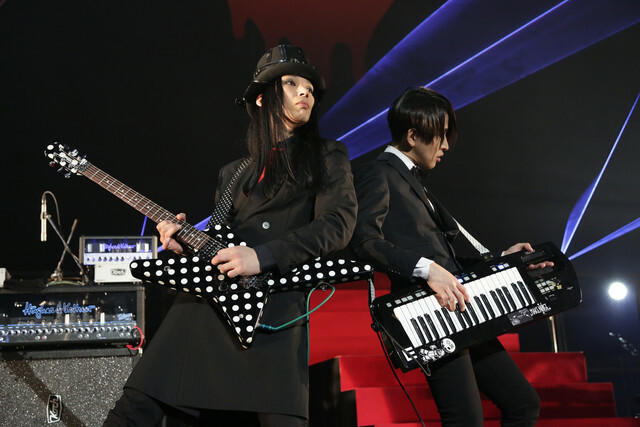 Japanese rock group URBANGARDE celebrated their 10th Anniversary with a spectacle-filled concert titled “KEKKON SHIKI” at Nakano Sun Plaza on April 8, 2018. 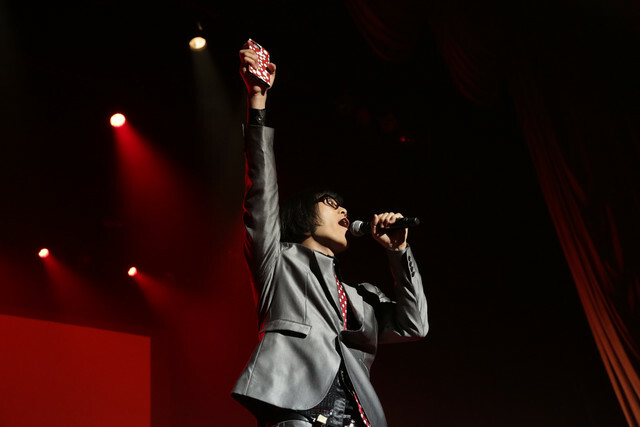 Matsunaga proclaimed that Nakano Sun Plaza, a “sacred place” for idol performances, had that evening become transformed into a “holy ground for subculture”. 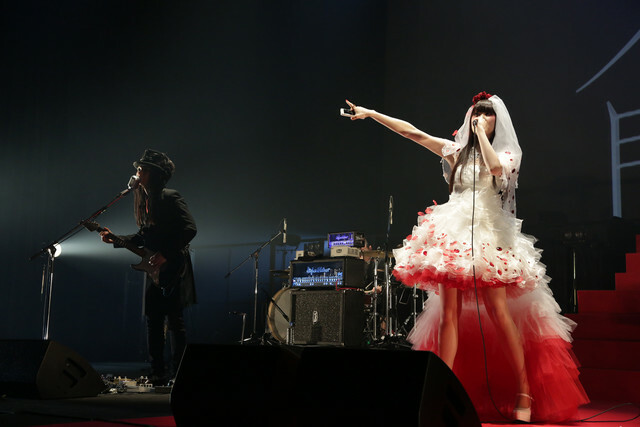 The band took the audience through a tour of its most beloved hits from the past decade in a marathon 22-song set, featuring dancers, a life-size Kewpie doll, confessional MCs from each member, colorful laser lights, and multiple costume changes for Hamasaki, whose ten years of URBANGARDE fashion were highlighted in a month-long exhibition in Tokyo. 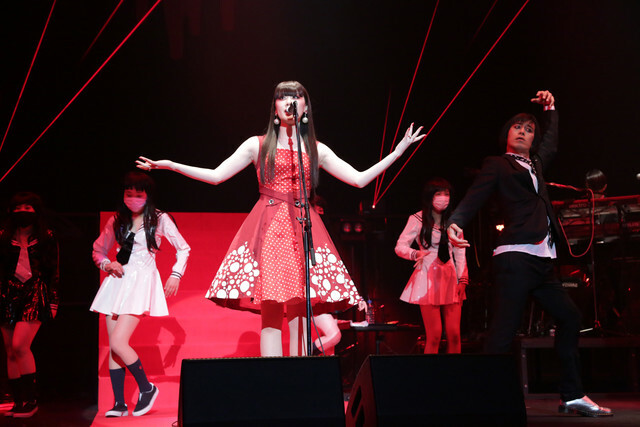 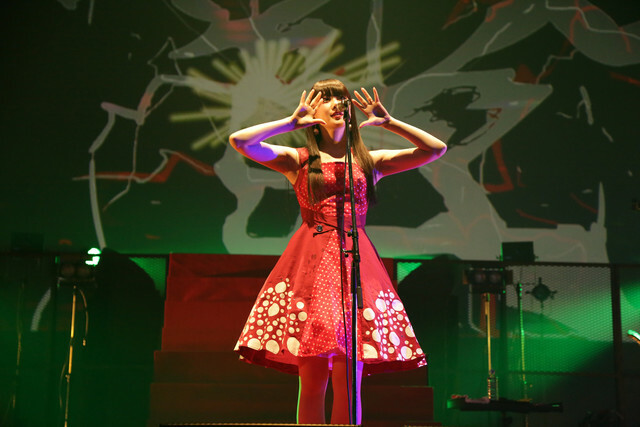 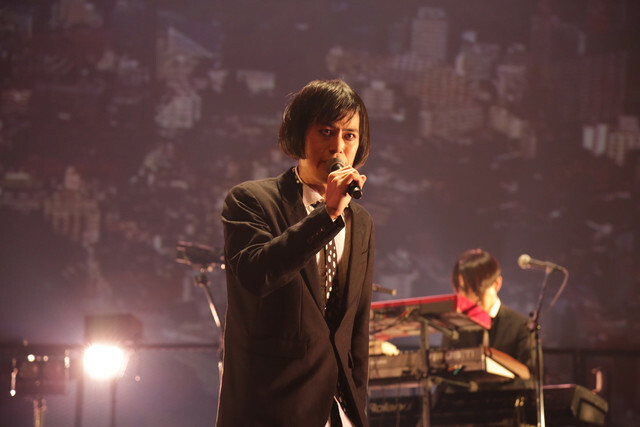 As the event continued with favorites “Shinjuku Mon Amour”, “Yameru Idol”, “Akumade Akuma”, and the newly-released “Atashi Fiction”, Matsunaga explained that URBANGARDE as a band was now young again, imploring fans to be ready to help this “10 year old girl” move forward into the future. 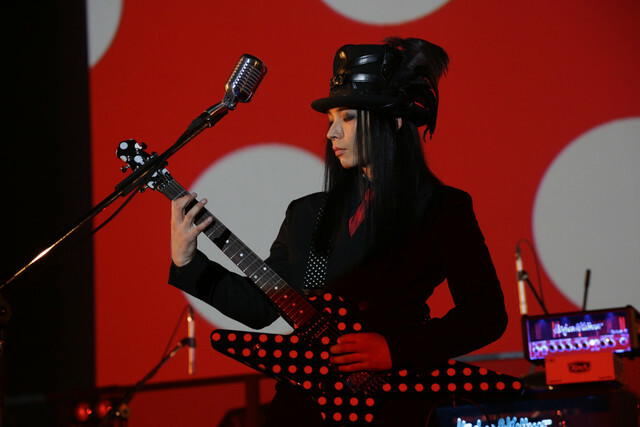 After cheers of congratulations and applause from the audience, Hamasaki returned to the stage in her iconic schoolgirl costume for encore performances of “Tokai no Alice” and the band’s controversial debut song “Sailor Fuku wo Nuganai de“. 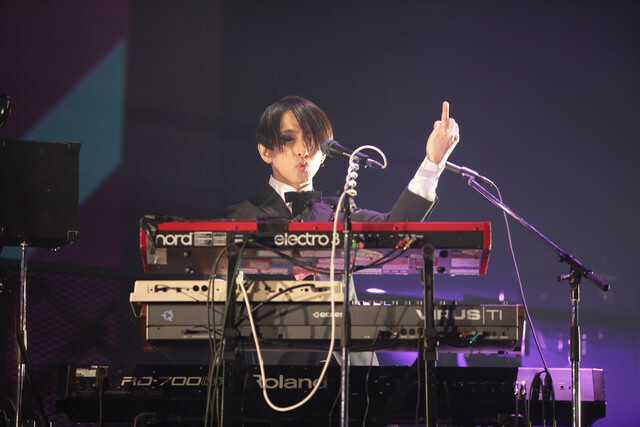 URBANGARDE’s latest album Shoujo Fiction is now available worldwide.